Long ago, so long that it seems to have happened in some other distant life, I visited a painting studio in my hometown of Kraków, in Poland. The smell of oil paints and turpentine was in the air, young people stood before large easels, painting a still life. The sense of belonging I felt to this place utterly overwhelmed me. I was only eight years old but I wanted to paint, irresistibly so. As a result of my strenuous insistence, my mom signed me up to the Youth Cultural Centre where the studio was located. Much to my huge disappointment, I was assigned to a drawing section with a place designated at a table stocked with paper, pencils, crayons and a small box of watercolors – set up for possible painting; I could watch the group working away at their easels only from a distance. All this had nothing to do with serious painting and real paints! And so I began my solitary, independent artistic journey. Later in life, not without its challenges, I was involved professionally in many related creative activities, but only art has offered me the inner freedom that is necessary for the spiritual ascent. My passion for painting has survived since the days of my childhood. Gradually, it became increasingly important and, ultimately, prevailed. Art fascinated me when I was a little girl. It fascinates me still. Its magic remains beyond the possibility of explanation. Born in Kraków, Poland, IRiKO received her master’s degree from the Kraków University of Technology, Faculty of Architecture. Her thesis earned her distinction and was awarded with the highest honours. Immediately after graduation, she began teaching at her Alma Mater. Apart from her academic and teaching responsibilities, she was involved in national and international architectural and urban design competitions, which culminated in winning first prize for her design of the Nowa Huta City Centre in 1978. IRiKO left Poland in June 1981 to assume the position of senior lecturer at Kaduna Polytechnic in Nigeria. In 1984 she came to Canada and settled in Toronto. New circumstances enabled her multilateral creative activities in architecture, film and theater scenography, interior design, and also in painting. 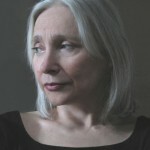 In 1988, based on her achievements in both design and art, she was admitted to the Directors Guild of Canada and, in 1995, into the computer animation programme at Sheridan College Institute of Technology and Advanced Learning in Oakville. 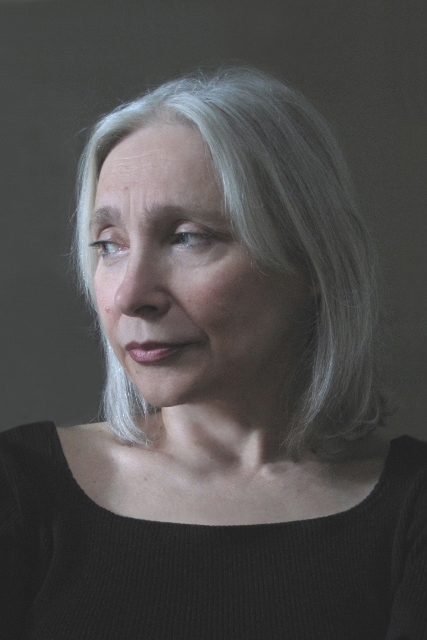 In 2005, she became involved with the Art Gallery of Ontario as an exhibition designer. She designed several exhibitions including Catherine the Great: Art for Empire, Masterpieces from The State Hermitage Museum (co-designed with Jim Bourke) curated by Christina Corsiglia. On Andy Warhol – Supernova she worked with guest curator David Cronenberg, Canada’s leading film director. During her pursuit of these various creative activities, she continued to paint and currently does so full time. IRiKO’s works have been presented in many solo and group exhibitions in private and public Canadian venues, and more recently, in several galleries in Poland. Her paintings are primarily in private collections in Canada, the United States and in Europe, and were acquired by celebrities such as Mats Sundin and Sandra Rinomato in Canada, and Anna Polony in Poland. Since 2001 IRiKO has been an elected member of the prestigious Association of Polish Artists and Designers ZPAP.